I’ve got an awesome guest blog for you today all about the money making power of a Transformation Challenge. 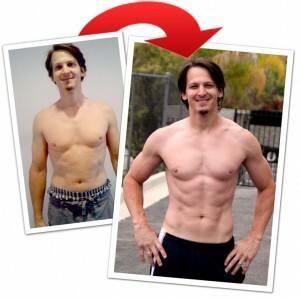 Josh Carter, a long-time friend and body transformation expert is going to tell you everything you need to know about using a weight loss and fitness challenges and leveraging its client getting powers to bring in tens of thousands of dollars in recurring income into your fitness business. Do you know when the greatest spike in memberships is? Of course you do— it’s January. Some places will see a 30-50% increase in traffic with the second week in January seeing the biggest spike. But it never lasts. The second week of February is always the biggest “quit week” of every year. That means, all those people who were all fired up in January have given up just a few short weeks later. So those sobering statistics presents trainers like you and me with a few potential issues: how to take advantage of the January spike, get the biggest slice of the 22 billion dollar pie, and how to get those people to stick around beyond that second deadly week of February. If we can overcome these obstacles, not only will we be able to help more people in our community become healthier, fitter and ultimately happier, but we can enjoy more freedom in our own lives knowing we are financially set for the long-term. So how can we capitalize on the January spike and increase client compliance and improve retention? That, boys and girls, is why I developed my Transformation Challenge System: A complete client transformation & retention system that keeps clients engaged throughout challenges, torches their body fat, and keeps them around for the long haul. It’s simple really: a weight loss competition designed specifically to motivate clients into losing weight and improving their body and health while having more fun doing it then they ever thought possible. They lose weight and a few absolutely love you for helping them have the body and health of their dreams. Inherently, people love a challenge. We love to overcome obstacles. Achieving what we once thought impossible is unbelievably empowering. It makes us feel great about ourselves because we achieve something worth having. Then add to that the fact that people love to win; winning is, after all, awesome. So when you set up a transformation challenge you help people achieve something they never thought possible. And when you give everyone recognition for their accomplishments, even those who don’t win still feel like they are winners. So when you do it right, everyone one loses (weight) AND everyone wins. 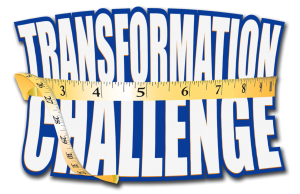 What does a successful Transformation Challenge Consist Of? To do a challenge right you MUST have all your ducks it row. You absolutely MUST be prepared for the FLOOD of new clients and you must be prepared to not only deliver on your promise of crazy good results BUT OVER-DELIVER those results. When you’re running a contest you need to have a cool prize, right? I have found basic things work very well. I’ve had winners get an iPad, Big screen TV or sometimes even just cash. You can use whatever you want, but the cooler it is the more people want to win it. Everyone should stand an equal chance of winning. You know bigger clients will lose more overall pounds, so you can’t just make the one who loses the most be the winner. You’ll have to do it based on the percentage of weight lost. I have found using a points system work great. I give points for posting & sharing on Facebook, improvement in bodyweight squats and push-ups, turning in food journals, and other things along the way as well. That keeps it fair and makes everyone happy. You’ve got to deliver on your promises, right? That means you’ve got to deliver results. So that also means you must have a solid nutrition plan in place. You and I both know you can’t out train a bad nutrition plan. Having a solid step-by-step nutrition plan in place for your clients to use is invaluable. You know as well as I that, if your clients continue to eat the way that either got them fat in the first place or is keeping them fat, they will never be able to achieve the success that they deserve. Give them the tools they need to succeed. Like I said earlier, February is the biggest drop off time of the year. To prevent clients from quitting you will have to give your clients the encouragement, motivation and support that they need. You can do that by making yourself available to them for things like coaching calls and sending them weekly emails with helpful tips, motivation and encouragements. When they feel that you are with them every step of they way, guiding them through their fitness journey, they are more likely to achieve greater results and stick with you after the challenge as well. How are you going to get new clients if no one knows about your astounding new transformation challenge? You’ve gotta get the word out, right? And there is no better place right now than Facebook to get you inform of tens of thousands of targeted prospects. Targeted Facebook ads are relatively cheap and can drive new clients right to your door. You have an email list right? You need to leverage that list to get those prospects off their butts and in your facility. An expertly crafted email sequence can do just that. It must flow, and help the prospect envision how much better their life will be once they sign on with you. How YOU are literally the answer to their prayers. A well-designed email promotion should also do the selling for you (after all, if you are signing up 50+ clients there is no time to sell them one-on-one.) Compelling copy will get the prospect to know, like and trust you, then lead them to get on board with your challenge. Sure, you’ll profit from the spike in new clients right off the bat, but the real profit comes when those clients stay on for 3, 6, 12 or more months after the challenge. The same is true for you clients as well: they will see some massive changes in the 6 weeks of you program, but to help them get to their ultimate goal will certainly take a bit longer. The key to making this happen is over delivering on your promises, and making them an offer that illustrates the incredible value of you and your services. You always want to make the retention offers near the end of the 6 weeks. After all, by the end of the six weeks they should be absolutely in love with you. You have changed their body and their lives. They can slip back into jeans they have not fit into for years and now their spouses are noticing them once again. You are indispensable. Then you hit them with an incredible offer. I have found that actually making two offers works best. The first offer is for a shorter term and should be considered a “good” offer that can save a “good” amount off “regular” fees. The second offer is longer term and should be called “GREAT,” saving them a ton of money off normal rates thus making it a no-brainer to take the longer term offer. There are two types of results we should talk about: the results for you business and the results for your clients. I have got this client transformation stuff down to a science. I regularly see clients lose 12 pounds of fat on the low end and as much as 30 pounds of fat on the high end. 2-4 inches gone from the waist is not unusual and many participants lose 6-8 inches. And the really good news is that the trainers who have used my system have been able to duplicate these results. 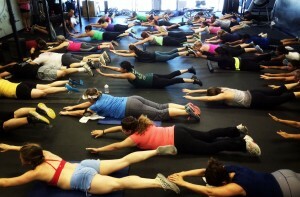 My gym is not huge, so the last time I ran a challenge I closed it down at 80 BRAND NEW clients. (We were so full, in fact, that I had to lease the space next to mine to accommodate all the new clients.) The trainers who have used my program have also been able to duplicate these numbers, and in many instances do EVEN BETTER. One guy emailed me and thanked me for helping him sign 150 new clients in 5 days! Crazy. Another thanked me for taking her business from $5k per month to over $20k per month of recurring revenue. That’s just freaking awesome! So think about it. Let’s go SUPER conservative and say you ONLY got 20 new clients and you charge approximately $200 for the challenge. 10 x 200 x 12 = $24,000. That means (even conservatively) you can earn $28,000 from promoting a single six-week challenge. Now you can see why I believe so strongly in the power of the transformation challenge? Give it a shot. You’ll improve the lives of clients and improve your bottom line at the same time. If you want to learn eve more about how you can implement these strategies and make thousands of dollars, check out my site: www.fitproclientgenerator.com. Thanks for reading, and thank you Bedros for having me. That was awesome, yeah? Did you catch all those tips Josh gave you? Seriously folks, this stuff is golden and just in time for the new year! Now, I know that, while it’s great to learn all about the many different elements that make a great weight-loss challenge, it can also be intimidating to realize that you have to come up with all these processes and products on your own. That’s why I am so stoked about Josh’s system and that’s why I’m so excited to have him share it with you guys. This system literally does EVERYTHING for you. All that complicated and daunting stuff he told you that you will NEED to have in order to be successful, he’s already done all of it for you! Don’t worry for a second about how you are going to write your email copy, how to make great incentives and offers, where you will find new clients, or any of those things you know you’re going to need. If you are unsure of where to start or nervous about figuring all this out on your own, he’s already done it for you! So pop on over to his website and check out his new year transformation challenge and use it in the first week of January load up your boot camp or training business with new clients.